We became pretty solid soccer fans while living in Germany, especially around World Cup time, so on our recent return trip, we were psyched to watch games with our German friends. For the U.S. v. Germany game, though, we were on our own in France. We planned the whole evening around the game, which aired at 6 p.m. in that time zone. 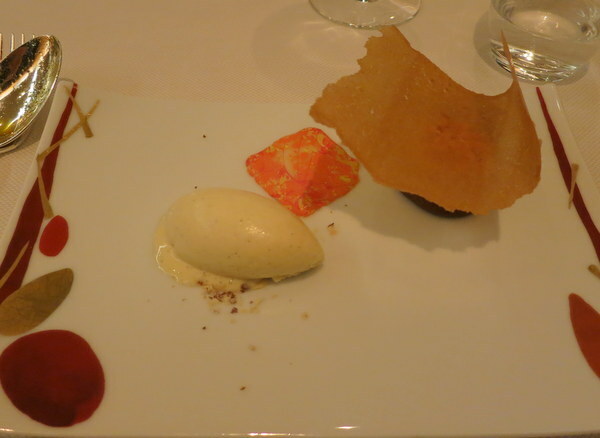 It was also the only night we could eat at the local Michelin-starred restaurant—and the night they serve a very reasonable prix-fixe menu. So we made a late reservation to fit in both, planning to watch the game at our B & B.
We’d biked 15 miles that day (a lot for us), and I planned to take a shower during half time. One big problem. After the pre-game commentator chatter, the screen went blank with a message that said something like: “This game is not authorized to be shown in this region.” We flipped around, hoping another station would carry it, but the only game on was the other World Cup match happening at the same time. Luckily, we were staying right near the German border, so I took a 3 minute shower, hopped into a dress, and we loaded up and drove to the ferry to cross the Rhine. On the other side, my husband knocked on restaurant doors until we found one with public viewing in its little bar area. The one long table was full of retiree-aged tennis table club members, and the only free seats were at the front with a mustachioed man who’d already had a few too many beers. He was friendly, though, and when he found out we were American, he told us over and over how much he loved Americans and how the best possible outcome for the game would be a 1-1 tie. He reminded us many times (a few too many) that the German coach and the American team coach (also German) were best friends and how they would both want this. If you were watching, too, you know the Americans actually lost 0-1. We were disappointed, but after the game, everyone (except the kids) was treated to house-made pear Schnapps while the table tennis team sang the German victory song (is there a name for this?). Everyone was very friendly, and when it was over, we thanked our hosts and dashed back across the river to make our 8:30 reservation. 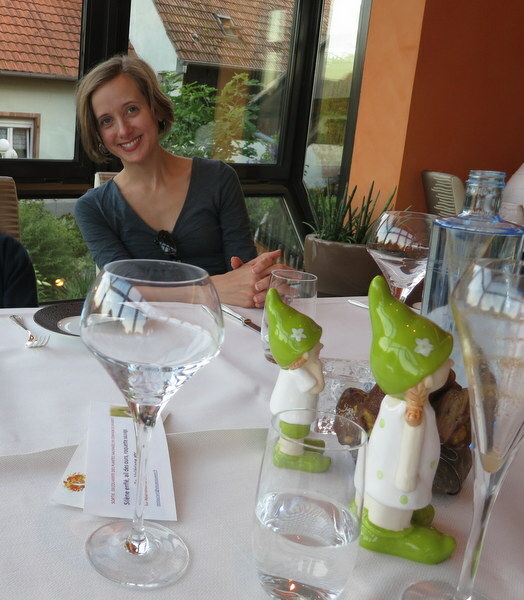 The restaurant was lovely, with a view to a garden and a stream. The noise level was nearly silent, but our kids were completely awesome and went with the flow. 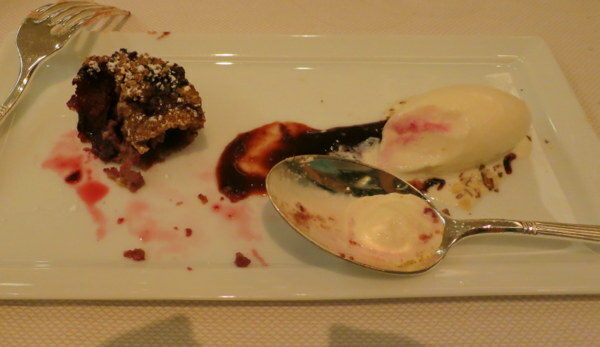 We opted for the prix-fixe menu and added on the “Festival of Desserts,” which sounded perfect. We envisioned a dessert sampler. 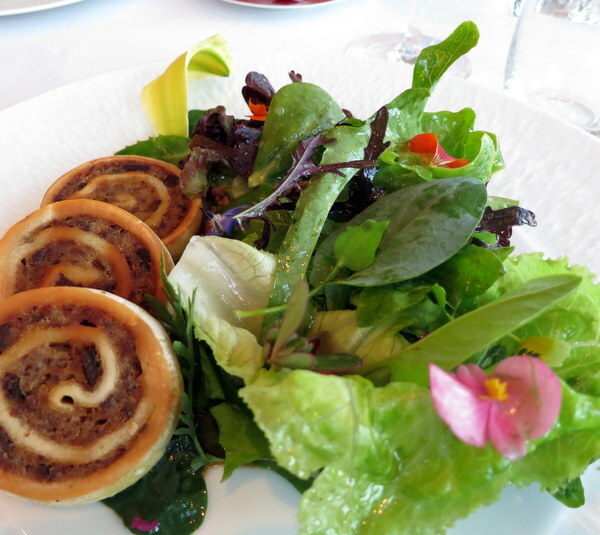 First course (salad above) was great, second course (some kind of meat pie) was amazing. Meanwhile the service was first-rate. Our hostess made sure to graciously inform us when we were missing something, i.e. 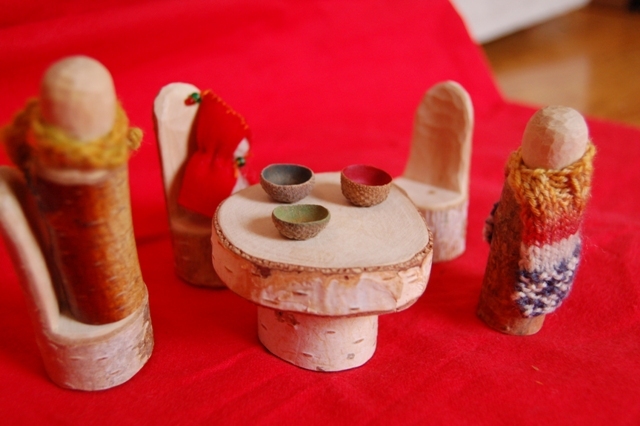 “You can actually eat those flowers,” and, “Those table decorations are actually pretzels” (in the first photo, the rock-looking things behind the ceramic elves). 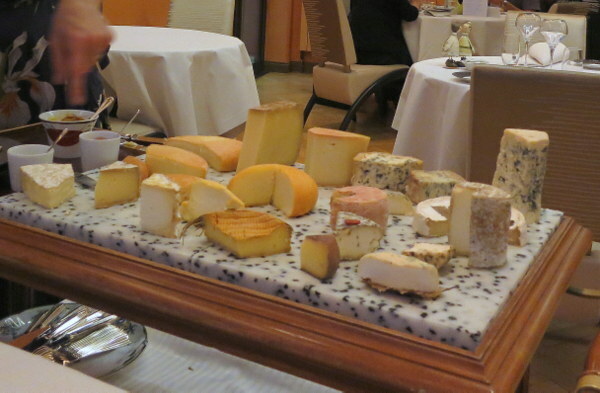 Here’s the cheese table, from which we could choose what we liked. And then the desserts started. First, a platter of teeny tiny cookies of many kinds. Then, a pastry with gelato. Another pastry with gelato. Another….we were losing count. Surely the cookies had counted as dessert #1. There were supposed to be five desserts in total. Surely the gelato counted for one and the pastry counted for another, right? Wrong. The desserts kept coming, and we slowed down so much that we started getting two at once. The cookies hadn’t even counted as part of the five. Not only that, but the kids had gotten (included) a dessert of their own, so they couldn’t help us out so much. Still, we were determined to do our duty and eat every bite. On top of the five desserts + cookies + cheese course, there was a tiny truffle course where we could choose our own adventure. How could we say no? At one point I said, “If they bring another dessert, I’m going to cry,” and we all started laughing, on the verge of breaking the Code of Near-Silence. Finally we ate our way through the last plate, now having finished enough dessert for about ten people. The last plate was probably my favorite, some kind of cherry cake (pictured above). We rolled out, giggling to ourselves. My son said the other day, “Let’s never take the circus of desserts next time.” Amen. Maybe just 1/10 of it. 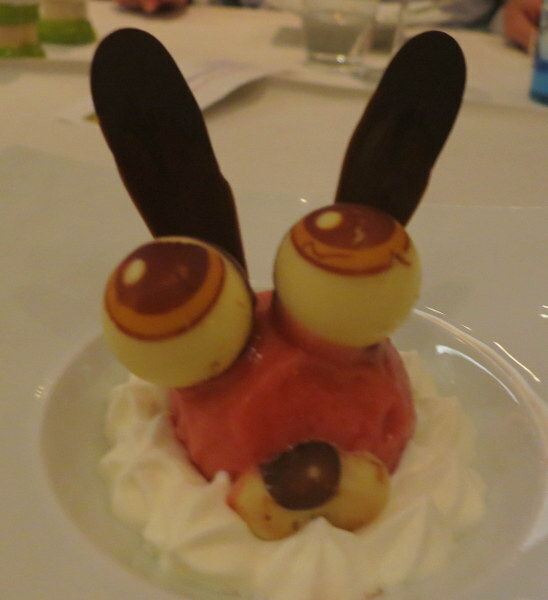 Below is a picture of one of the children’s desserts. And in case you’re wondering yes, I threw the whole gluten-free eating thing out the window that week. I paid for it the next week, but it was well worth it! 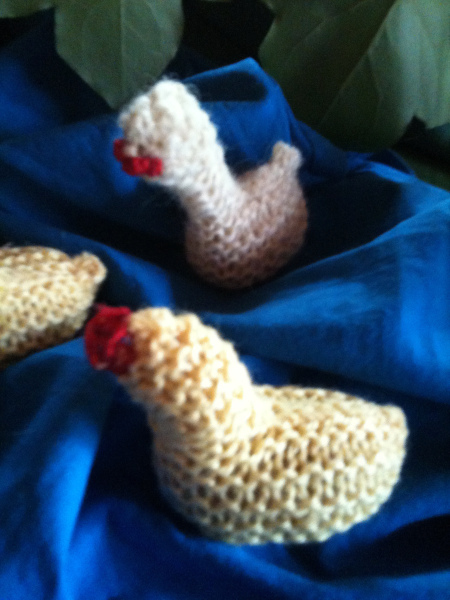 I scooped up these beauties at the last Waldorf craft basar we attended in Germany. I got them as much for myself as for the kids. Don’t the stove and tiny pot, just like, kill you? I realize it’s hard to tell the scale here, but the pot has about the same circumference as an acorn top. I’m powerless before this kind of stuff. 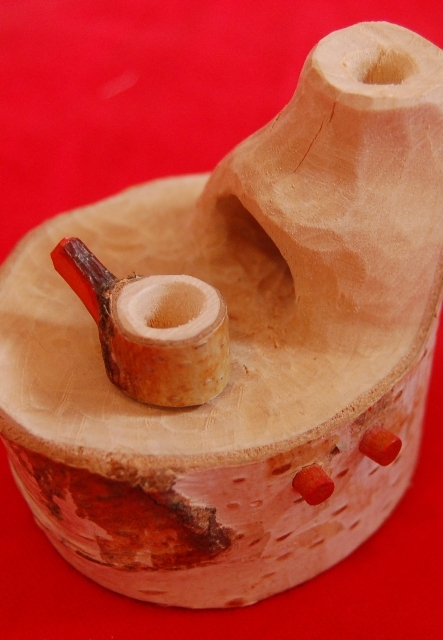 Makes me want to take up whittling, because, you know, I totally need another creative hobby. A teensy Fair Isle cape! I think one of the things I like best about these is the bark. 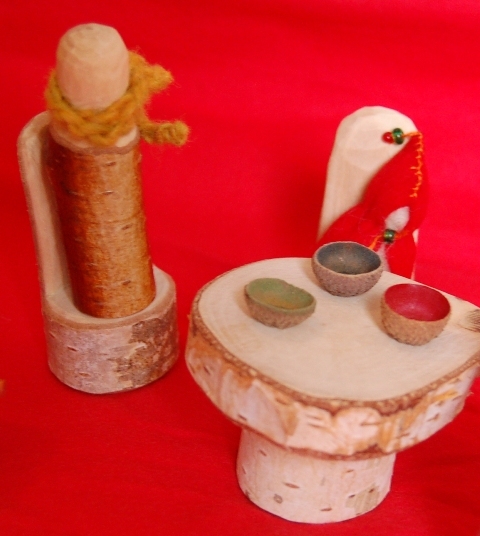 For some reason it never occurs to me to make things out of actual sticks from trees. Hope you had a good weekend. I’m pressing forward on my novel revisions, though I had a reminder this morning of just how slow I am when I looked at where I was last year this same week. Yipes! 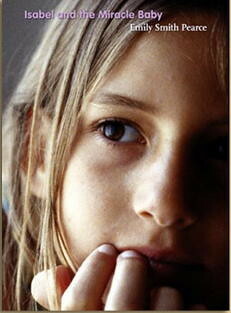 Are you in a reflective mood about what you’ve done over the past year? Celebrating goals met? Making new ones? Thank you, people of Hannover, for hosting us. It wasn’t easy in the beginning (two short years ago) but we’ve learned so much, done so many new things, and we’ll always think of our friends and our time here fondly. I wish I could write this good-bye in German, but I’m not quite there yet. Vielen dank, Hannoverians, for listening to my broken German. What a shock that you actually understood me, and even better, that you wanted to understand me. Thank you for your patience—-may I be just as patient with every new English learner I meet. I had no idea what a whole new world was waiting for me behind that language barrier. Thanks for opening the door wide when I so timidly began to knock. It’s been exhausting saying good-bye to everyone, knowing that we can’t pop back over for a quick “hallo!“whenever we like. But I do hope we’ll be able to get back here. Off to say some more good-byes. See you in America! We’re getting closer to our move date, and we’re going through our stuff but also thinking about (clinging to?) the things we’ll miss. I say “we” but maybe it’s just me doing the clinging. 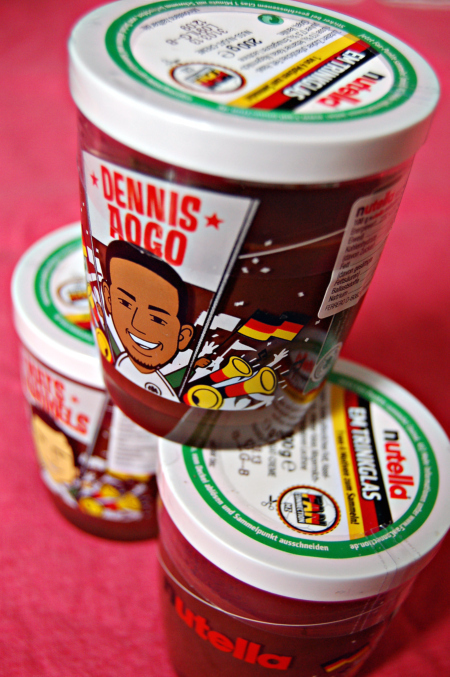 I find it funny that when I left the U.S., I was stockpiling American things I feared I wouldn’t be able to get in Germany: Trader Joe’s salsa, children’s OTC medications, inexpensive winter gear. Now I have the same frantic hoarding tendencies but for German things, as if somehow I can take my memories with me only if I find enough items to hold them in. Cheese—so cheap and delicious here—a mozza ball costs as little as, I kid you not, 50 cents! Homeopathic German medicine—oh yeah! It really works. For the last two plus years I’ve sought out English reading material wherever I could, and now suddenly I’m desperate to have some German books for the kids. I just got Richard Scarry’s Mein allerschönstes Wörterbuch (it’s similar to his other books but with German and English labels). Also ordered Das grosse Liederbuch (The Big Song Book, illustrated by Tomi Ungerer) on the advice of a friend, hoping we might be able to preserve some of the folk songs our son has learned in German kindergarten. The probability of him losing his near-native accent is the thought that stings the most. But I won’t dwell on that now. Okay, off to get some errands done and hopefully, just a tiny bit more writing before the clock strikes midnight. Have a good Monday. 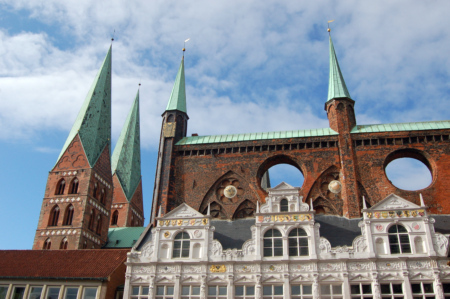 I’d been wanting to go to Lübeck for a long time, ever since I read that it’s the former capital of the Hanseatic League, a city-state trade alliance existing during the 13th-17th centuries. More about the Hanseatic League here. I’d love to read more about the league, so if you know any good books about it, give me a shout. Lübeck is such a quiet, relaxed place now, it’s hard to imagine it as the center of trade in this part of Europe. 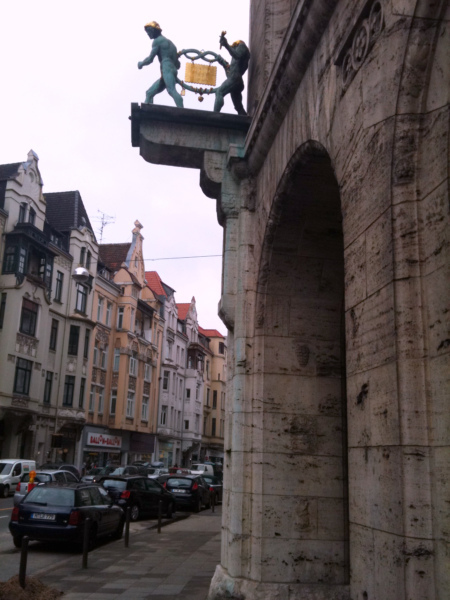 One of our favorite parts about the city is its canal encircling the Altstadt (old town). Hannover used to have one of these, too, but it’s long since been filled in. 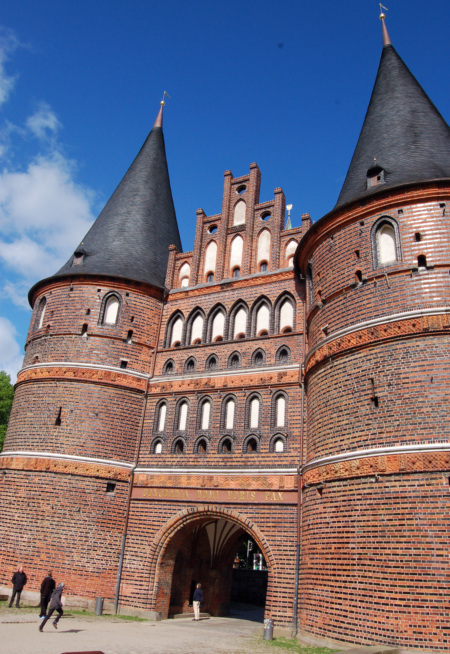 Above is a photo of the Holstentor, which is the city gate and a famous German landmark. Below you see the entrance to the puppet museum, which, sadly, we didn’t have the chance to visit. Love the little guy, though. 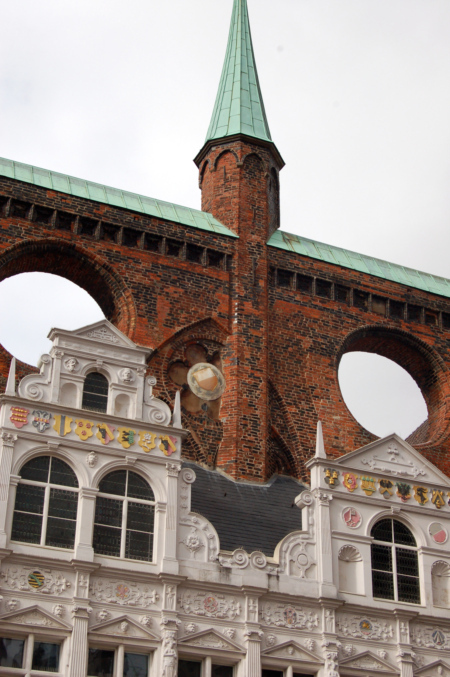 Below is a glimpse of Lübeck’s “crown.” When you see all the city’s lovely pointy towers and steeples together, they look like a crown. The white building is the Rathaus or city hall. My favorite feature is the round holes. 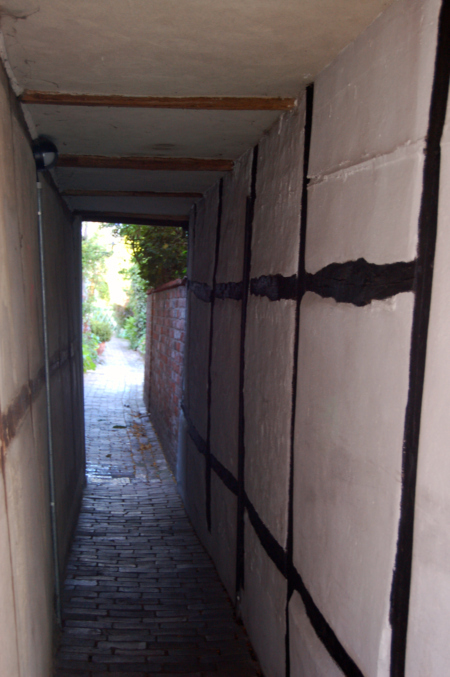 In addition to its history and the distinctive brickwork, Lübeck is known for its Gänge (walkways) and Höfe (courtyards). 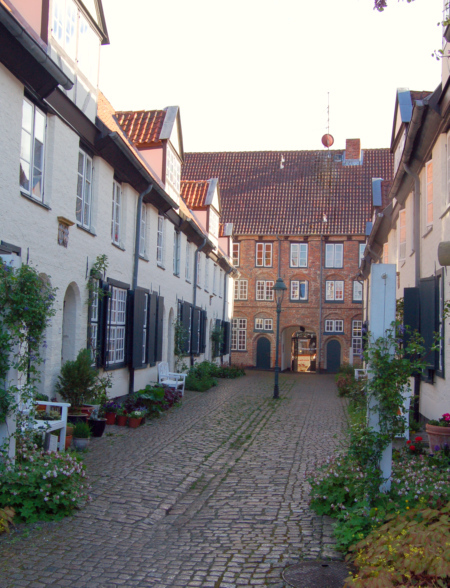 According to Lonely Planet, during the Middle Ages there was a lack of housing for the many artisans and craftspeople in Lübeck. So rows of smaller homes were built for them behind existing homes. Walkways were built to connect them to the street. People still live in these areas, and you can peek in to get a glimpse. You can easily miss the entrances if you don’t look carefully. 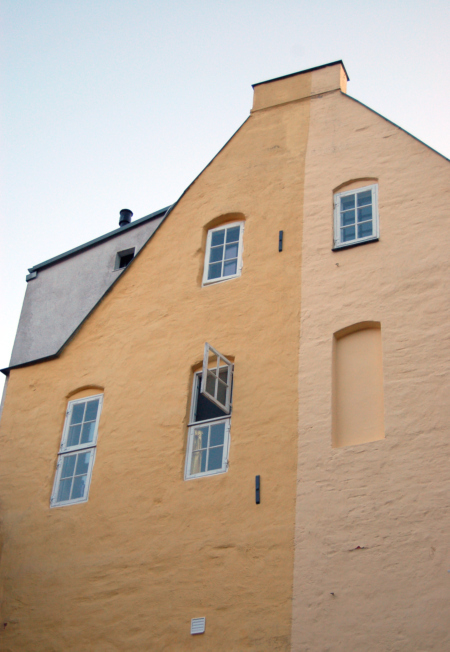 Lastly, a yellow building I loved—-I guess they couldn’t agree on which yellow to use. 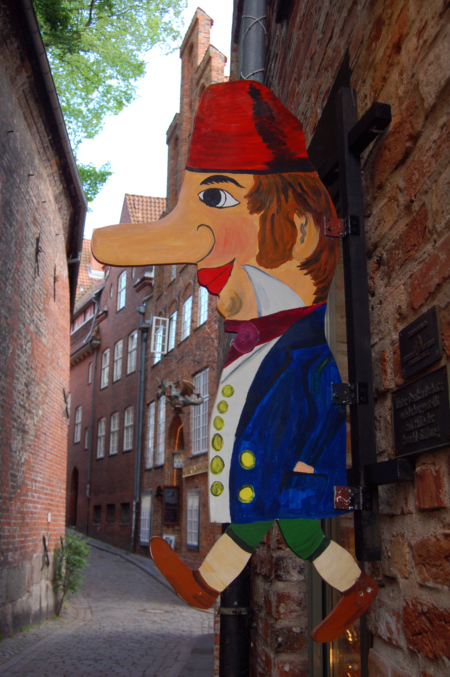 Lübeck is also known for its marzipan, which comes in every shape imaginable. Unfortunately I don’t have any pictures to show you of it, but do be sure to try some if you go. I’m quickly getting sucked into the vortex that is the overseas move. Hopefully I can make some more posts in our last weeks, but we’ll have to see. I have so much to share if I can just find the time. Have a great weekend! The spring Waldorf basar, with crafts, kid activities, and yummy food, happened a few weeks ago. It was our last one before we move back to the U.S., which makes me a little sad. There is really nothing like a Waldorf basar, and there aren’t any Waldorf schools or kindergartens in Charlotte that I know of. 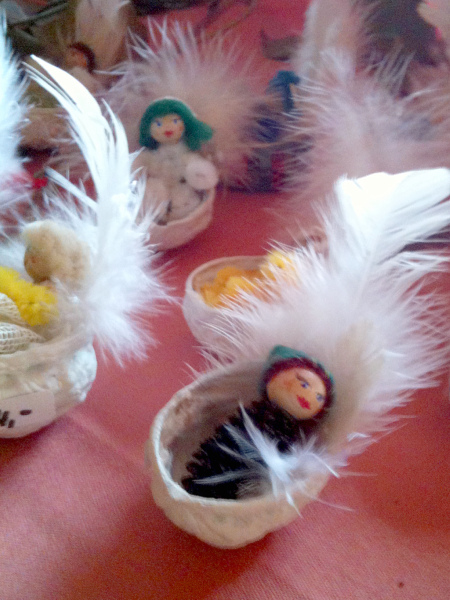 The Waldorf handicrafts are so different from what I’d seen before, so very German, and all from natural materials. 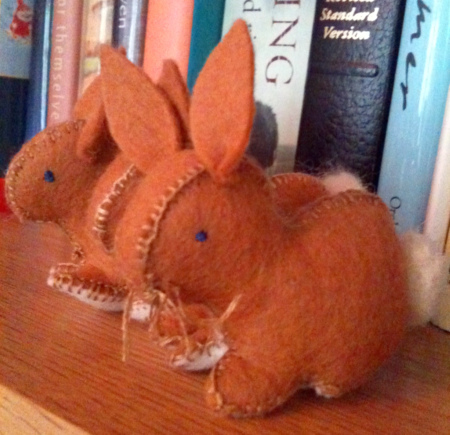 The rabbits above were what I made this year. You wouldn’t believe the hours that go into making one tiny bunny. 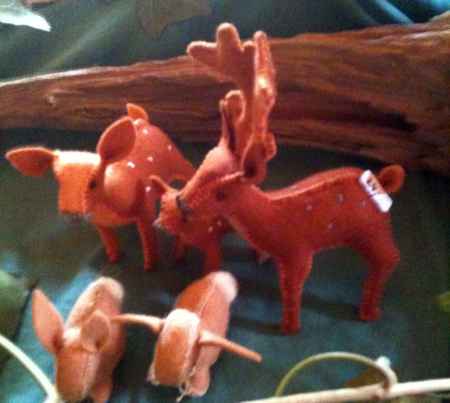 The bunnies in front of the deer are mine, thankyouverymuch. I just bought Stofftiere zum Selbernähen (Stuffed Animals to Sew Yourself) by Karin Neuschütz so I can make some more animals on my own. It has patterns for camels, donkeys, giraffes, pigs, everything–except deer, which bums me out. I’ll have to find that pattern somewhere else. Looks like the book is only available in German, but you really only need the patterns and a blanket stitch to make them. She does have a few other titles that have been translated, looks like. 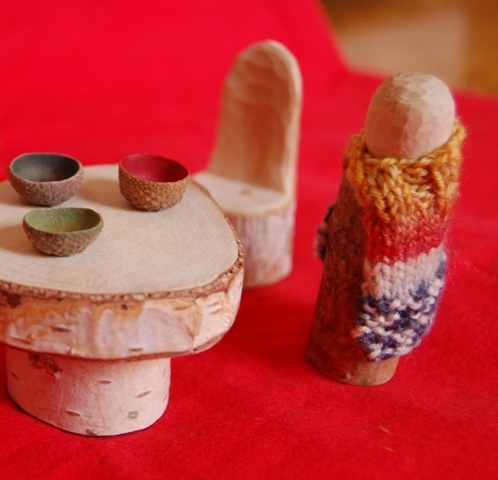 I also just bought Hütten von Kindern Selbst Gebaut (which translates something like Huts Children Can Build Themselves) by Louis Espinassous. I think it may be originally French. 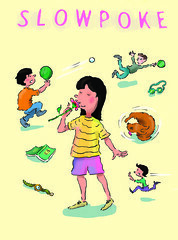 Anyway it’s all about little forts kids can build out of sticks, brush, or scrap wood. For some reason, after seeing this one, I am kind of determined for the kids to have a fort in Charlotte, though maybe I just want one to play in myself. I got some good writing done this week. Trying to get as much done as possible before our move. The weather has been amazing this week, after a long, long winter. We hope to get in some bike riding this weekend. Have a great one!